It’s been an exciting few weeks that felt like a mini-month! We’ve rearranged a bit at KCP Gallery to make room for showing and doing lots of new artwork, and we are getting ready for the return to school and for Fall. Things we’ve been working towards all summer are showing results, and it’s great to have such a wonderful space in which to work and to show the work of many other artists as well. All sorts of seeds are growing into bigger things–even miniature projects are growing into bigger ones. 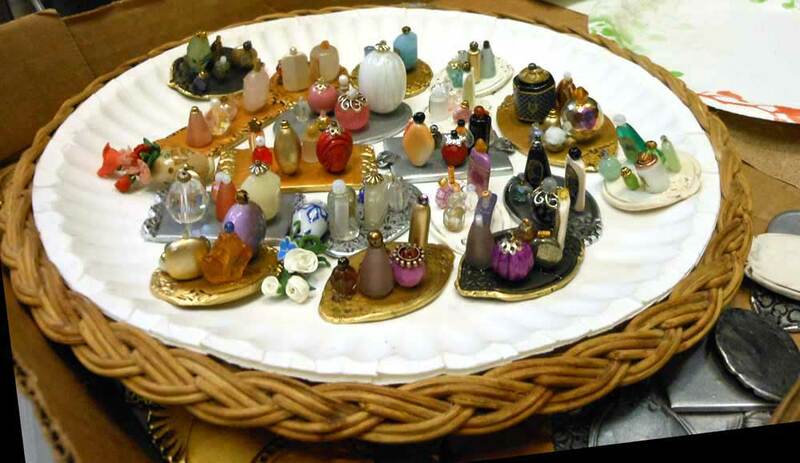 My tiny perfume bottle collection is growing, and will be part of a display coming up. in October.I didn’t realize it until I was editing, but this photo shows the back of the sets, and they still look good; wait till you see them all displayed with the teeny labels showing too! The Featured Artist at the gallery for October is the Art of PolyMarket Press, which is me wearing my publishing hat, plus all the artists with whom I’ve worked in making our books. For an empire that is starting with less than a dozen books (so far), we have an astonishing wealth and range of artists who have participated. The first collaboration began with Judith Skinner, then it stretched further to include artists with work shown in the book. That includes all of the artists who submitted polymer clay rectangles that look just like bolts of cloth when stacked on shelves in a Barbie-sized (2ft. x 4ft.) quilt store. Featured in Adapting Quilt Patterns to Polymer Clay, the store is being re-dressed from the floor up for the show to feature miniature perfumes and toiletries, and the little bolts are becoming a large wall hanging that showcase each bolt as part of a quilt patch. It’s a Friendship Quilt in the truest sense, because friends from around the world contributed to it. 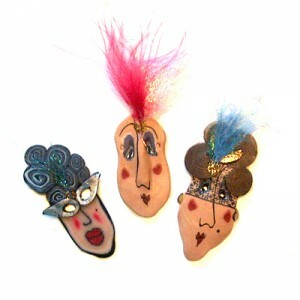 Particularly suitable for the month of October is the Collection of Polymer Clay Masks. Many of these were shown in the book of the same name, but the collection has grown. I’ll have to count when we’ve finished mounting them all to the large wall hangings, but there are well over 700. 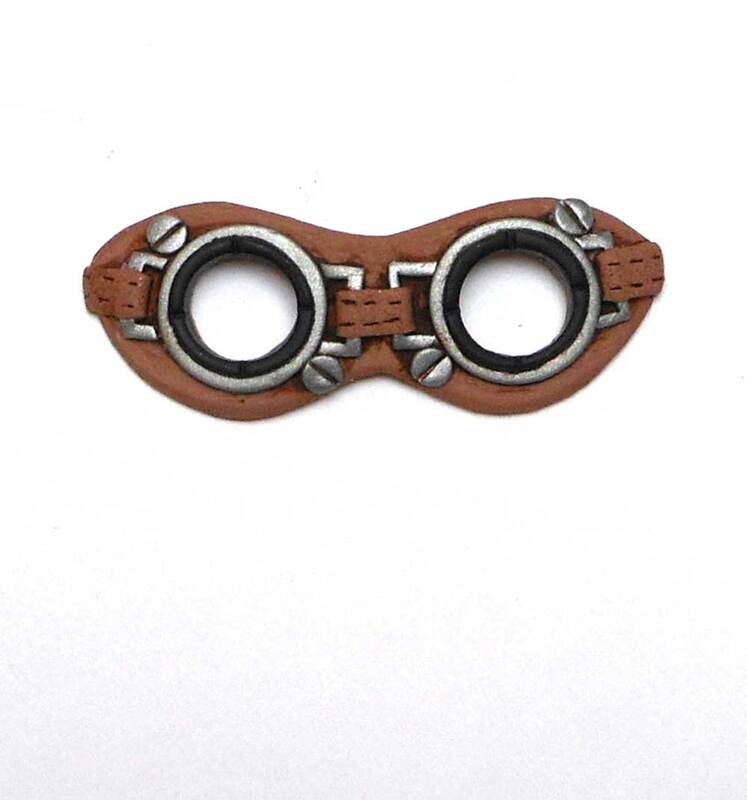 They are made to inside of a 3 inch square, and use polymer clay–but other details are left up to the artists. I’ve been making them and collecting the work of other artists who make them in the Somewhat-Annual Miniature Mask swap. Seen here is are some diminutive delights from this and last year’s swap. In October, for the first time ever in one place, the work of these many artists from all over the world will be collected together in installations on the walls. 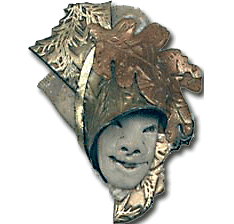 The collection is a vivid look at all sorts of faces and face-coverings, and along with the little bolts and other pieces creates an astounding treasure-house of polymer clay techniques in one place. 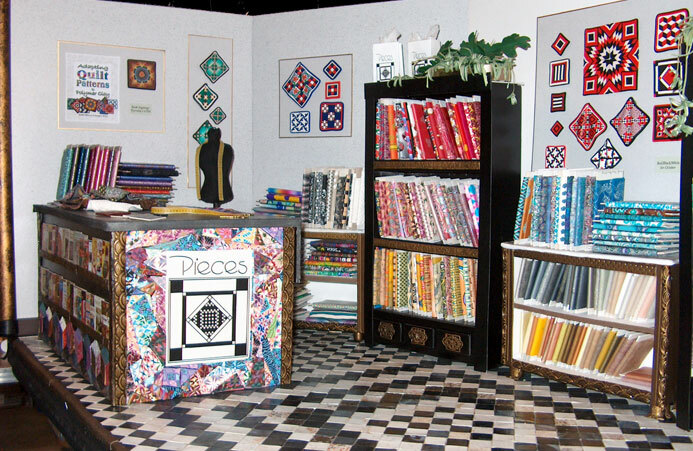 We’ll also present the mosaic works of Bryan Helm that were featured in the Quilt Pa tterns book as well as in my two previous books about polymer clay that were published through Krause, Create a Polymer Clay Impression and Celebrations with Polymer Clay. Art from my collection that appeared in those books will also be on display, as will the wearable treasures from our most recent book with authors Kim Schlinke and Randee M. Ketzel. Polymer Clay Gemstone’s–The Art of Deception mixes mystery and tutorial together to give polymer clay a brand new ancient look. Poet and photographer Ricardo Acevedo’s prints from the books Night and Interloper are as complex and layered in some respects as the mosaics, and his use of color and texture fit right in with the sensory offerings of this month’s show. Sometimes dark, always interesting and rarely simple, we are all exploring how things can be perceived differently through art–made little, or big, fragmented, differently colored, arrayed in collection with other pieces. Those creative connections, both virtual and captured in print, are what this show is all about.